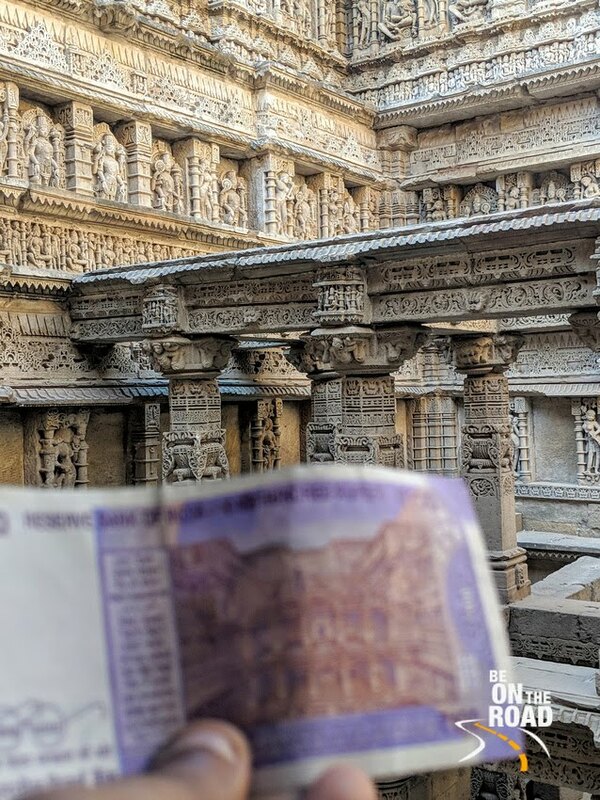 Rani Ki Vav: The 100 Rupee Note World Heritage Site - Be On The Road | Live your Travel Dream! Post the demonetization in 2016, the Indian government have been releasing a new set of currency notes. Apart from the 2000 rupee currency note, which showcases the Mangalyaan space satellite on the back, all the other new currency notes showcase the various UNESCO World Heritage Sites of India. This is a nice way to promote our rich heritage and boost tourism. I am pretty sure that you would have noticed these heritage sites on our currency notes, but not sure if you recognize their important status in our country’s rich heritage and tourism. The latest entry in this currency series is the purple/lavender colour 100 (One Hundred) rupee note. 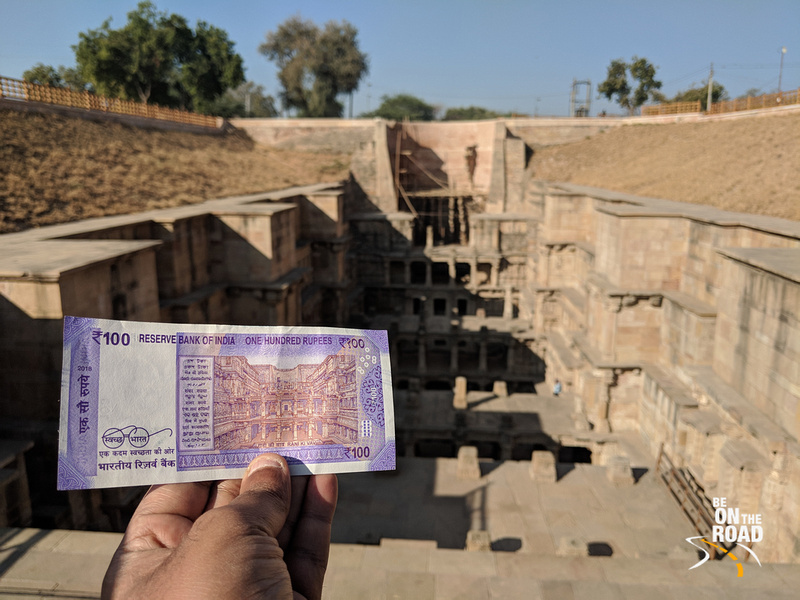 On the back of this 100 rupee note is the 11th century marvel of a stepwell called Rani Ki Vav or Queen’s Stepwell that is located at a small town called Patan in North West Gujarat. I happened to be holidaying in this part of Gujarat when this currency note seemed to be coming into proper circulation. 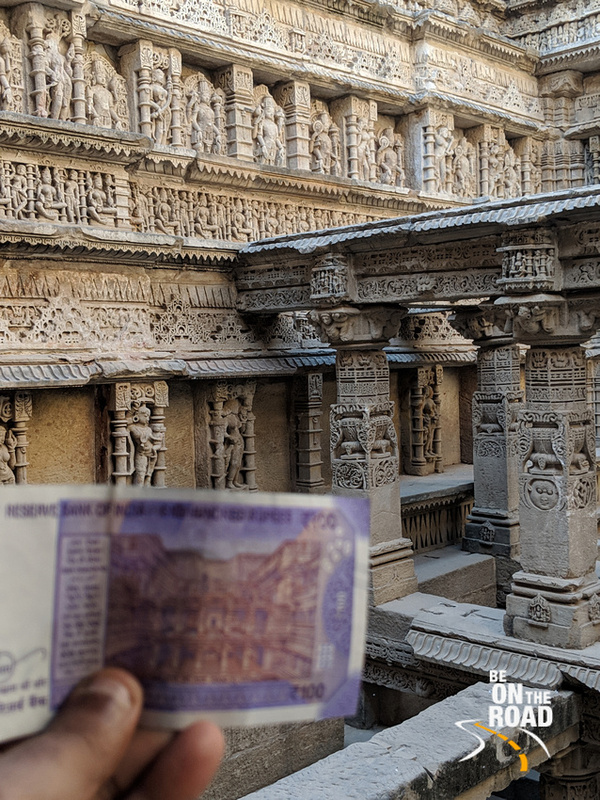 So, when I did arrive at Rani Ki Vav at Patan (the erstwhile capital of Gujarat) after exploring the heritage city of Ahmedabad and the offbeat heritage town of Siddhpur, I got hold of a 100 rupee note and clicked the picture of the note and the stepwell structure. A lot of people were doing the same and it was an interesting thing to do in this absolutely gorgeous sculpted beauty. The picture on the 100 rupee note does not portray the true beauty of this place and hence I recommend everyone to visit this place on their next holiday to Gujarat. The intricate carvings and the sculpting here is unbelievable and the fact that this marvel of engineering and creativity served as a place of entertainment for the people while they filled their daily ration of water says volumes about the Chalukya and the Solanki dynasties that ruled Gujarat in that time. I will be writing a detailed post with a good many pictures and videos about Rani Ki Vav in my next few blog posts. So do stay tuned for that and bookmark this place for future holiday ideas. Here is a list of the UNESCO World Heritage Sites that are on the back of the new Indian currency notes. I have explored and experienced all of them. Have you?